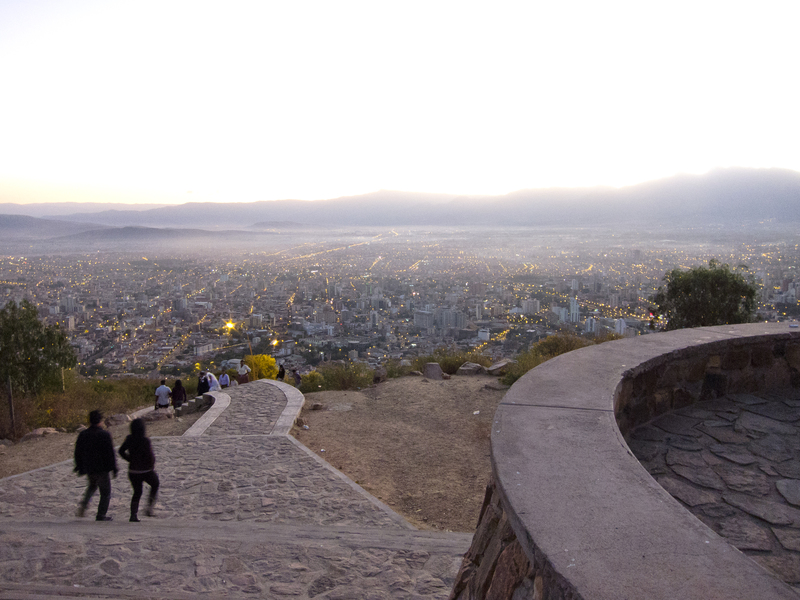 This week marks two years that I’ve lived and worked in the city of Cochabamba, Bolivia. 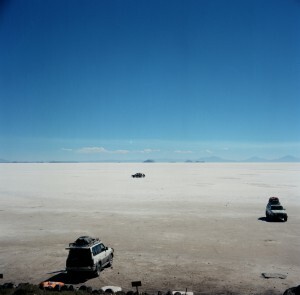 My image of the Salar de Uyuni, Potosí, Bolivia. Created with a Yashica D.
It’s been a happy, productive, and very insightful two years. But, things have changed very radically for me in 2014. I’m still very content, and doing fulfilling work. However, I’ve changed professions, and have seen drastic changes in my lifestyle as a result. For most of my time in Cochabamba, I worked with a small non-profit NGO Sustainable Bolivia. I brought in over 150 volunteers to the program, lived with over 40 different people in one of their homes, and told dozens of people their Spanish 1-2 classes in high school doesn’t make them fluent. Since January, I’ve started my own small business, lived a month in Lima, took a 38 hour bus ride to Bolivia, moved into a courtyard home, got hit by no less than ten water balloons, and had a major airline steal one of my photos for their Facebook page. The city of Cochabamba, as seen from the Cerro de San Pedro. Image created with a Canon S95. Moving halfway across the world fundamentally changes the way that I communicate with the people I consider my closest friends and family. Many friendships that I’ve dedicated and invested a lot of my time and emotions into just cannot keep the same level of interaction as when distances are small. And that’s nobody’s fault. But I do want to be more proactive on my end of the equation, and communicate more effectively with those who care about me. As such, I’m making it a priority in 2014 to take the time to make myself available online for all of my friends and family who are no longer physically close to me. Regularly update this blog and website. Create an email newsletter, and respond personally to all emails sent to me. Publish more of my photographs online, for all to critique and see. Get my story out there to anyone interested! So, connect with me, signup for the newsletter, subscribe to the blog, and let me know how you’re doing in the comments below. I’ve got a lot of stories to share. Alex Dealy is an online technology and marketing wizard currently based in Cochabamba, Bolivia. He enjoys analogue photography, particularly coupled with long trips to nowhere. When he's not fiddling around with WordPress, he's probably playing soccer, taking photos, or eating ceviche. You can get in touch with him via email or Twitter.